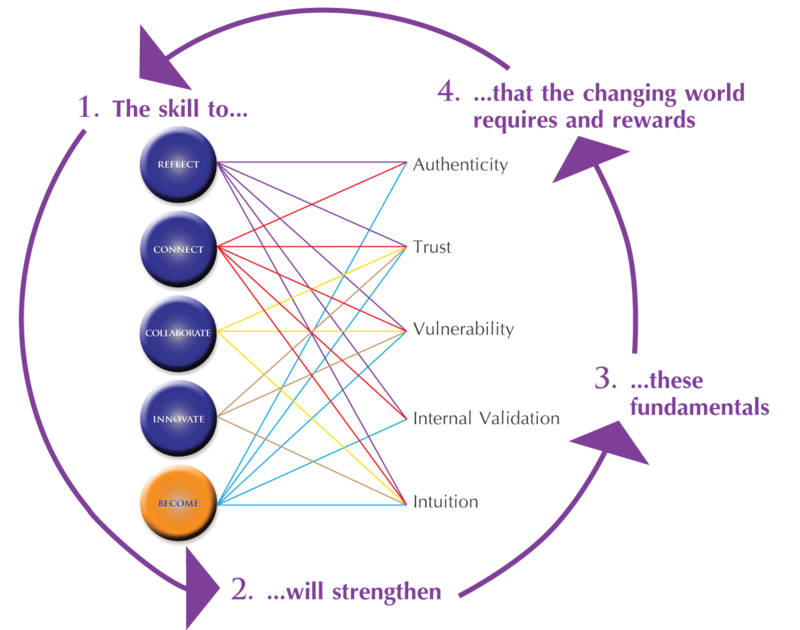 What is vulnerability in the context of business? Vulnerability is the art of exposing elements that would otherwise remain closed or hidden, thereby increasing the chance of risk and uncertainty. In business, this could mean spotlighting ability levels, opinions, action taken or even unknown practices. One may be described as vulnerable if the result of an action allows space for others to hold a stronger opinion, which may have negative impact upon our own situation. For example, one may be vulnerable to job loss, demotion, exposure of malpractice, judgement of ability, board decision or industry rating. Can vulnerability bring positive aspects? It is often perceived as a weakness in business. To be vulnerable can bring amazing and unexpected positive reactions, insights and assistance, depending upon the state of the environment in which the vulnerability is exposed. A great environment to test willingness to be vulnerable is an evolved, open and respectful environment, with a leader that prioritises growth for all. Not only though will vulnerability bring extrinsic rewards, but also intrinsic. A customer’s vulnerability could be rewarded with the externally-driven in-depth knowledge of the salesperson (take a female car buyer who knows little about mechanics), an employee’s vulnerability could be rewarded with one-on-one training and coaching (take an employee who is not selected for the year-long corporate development program, coached by his leader), shareholders’ vulnerability of an economic downturn could be rewarded with additional knowledge of new approaches taken by the board. All three will also be rewarded with the intrinsic reward of additional self-confidence. Why do leaders choose not to expose vulnerability in business (and life)? Vulnerability allows the unknown to be known, and hence once ‘out in the open’, an opportunity arises for others to control, influence and judge our situation. When that influence is positive, it would be accepted. When not, it becomes a struggle of absolutes (right vs wrong) with energy being channelled into evidence of viewpoint rather than real results. A wise choice to not be vulnerable would be when you recognise the essential pillars are absent. For example, trustworthiness of those around you is essential to ensure an objective discussion to emerge. When is vulnerability a wise tool or state to adopt in business? Vulnerability can yield positive results in an environment that welcomes it with respect, that prioritises the importance of people and wishes to move into the unknown rather than stagnate in a known market. It will generally be one that is not risk-averse, as facing (safe and ethical) risk is to be vulnerable in itself. It will be an embedded element of an innovative workplace, one that sees advantage in recreating, repositioning, reinventing for a world that is not defined, or possibly a world that is defined in the eyes of those other than ourselves. I see such great benefit in being vulnerable as it’s a family and personal value. Yet I’m not willing to be so in our workplace. Willingness depends on two things: an awareness of the need, in this case to be vulnerable, and secondly an awareness of the consequences of not being vulnerable. From the above statement, both the need and the consequences are clear. However, the above statement is also showing a connection to and appreciation of the space around you – an extremely important characteristic of effective leadership, as nothing can or should work in isolation in business. Vulnerability can unintentionally attract less-evolved others to enter a space of control, resulting in exploitation of the reason for being vulnerable. Skills for 21st century leadership include reflection and connection, collaboration and innovation leading us to ‘become’ and evolve beyond current barriers. However achieving that in isolation of what will serve the corporate future may be futile. The evolved section of the corporate world’s leadership sees benefit in vulnerability, as it breeds and beckons the human side of any corporation, thereby cultivating reality and responsibility, and rejects the notion of following through entitlement.